Alicia Keys is still touched and astounded by her newfound motherhood and the Grammy-winning singer/songwriter is understandably gonna want to commit these feelings to song. 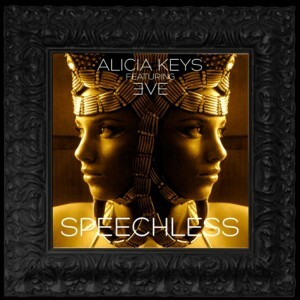 Here on a track produced by her husband, Swizz Beatz, the young family presents to you a free download of ‘Speechless’ – Mama Keys’ ode to baby Egypt. 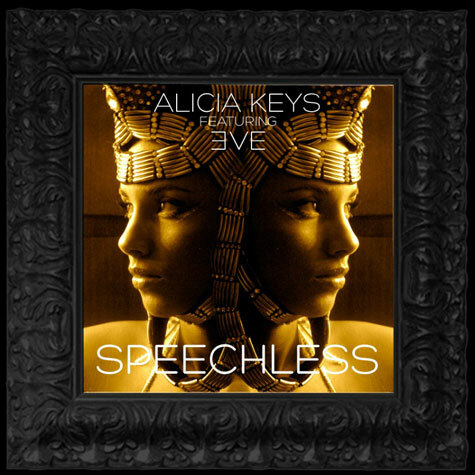 Alicia has tweeted that ‘Speechless’ is just a freestyle track her and her husband are giving away as part of his Monster Monday weekly free music offer. The song won’t be released as a single or included as a future album track. I think the problem for Damien Leith is not so much the lack of radio support, because you can still sell albums without radio play if you have a strong fanbase. He got his fair share of promotion for this album, had a great many articles written about it and him when it was released late last year, did numerous radio interviews and made a few tv appearances including one on So You Think You Can Dance. I think the problem is that his music and persona are just so boring. Nice voice, nice man, but no way would he or his music appeal to the people who generally download songs. Teenagers and young adults. No stage presence, very ordinary looking man, and boring songs. Hence the songs didn’t move up the download charts and radio decided to give them a miss. And his fanbase is so small these days there were not enough people buying the album to keep it in the charts more than a couple of weeks. He should probably release another cover album for Mother’s Day, and then he might sell a few albums.